I seriously hope this posts!! Blogger and I are on the outs again, and I can't quite seem to figure out why. Anyway, today I have a pretty card to share with you. The more I look at it the more I enjoy it. I started this card out with a COMPLETELY different idea in mind, and then it quickly morphed into this. I just, again, used my distress ink pads that I "smooshed" onto my craft pad then spritzed with water. Then grabbed a clear block and started dabbing. 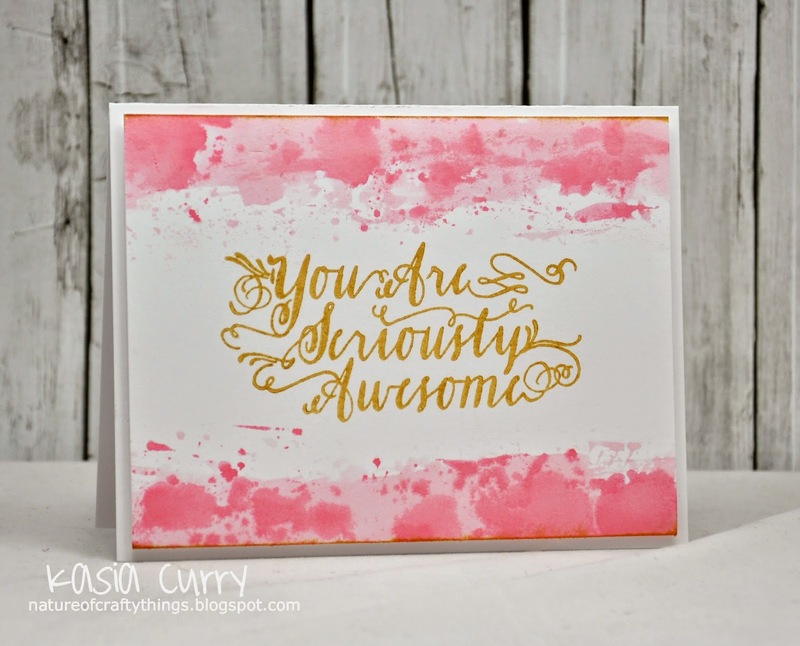 The gold Delicata ink was just sitting there on my desk begging to be used and I thought it might go nicely! the font is just so beautiful don't you think? Well, thank you so much for stopping by today. I'm hoping I can get this posting issue fixed soon. It's time for a new RetroSketch challenge sketch. This week's sketch is based on this little beauty by Arielle. 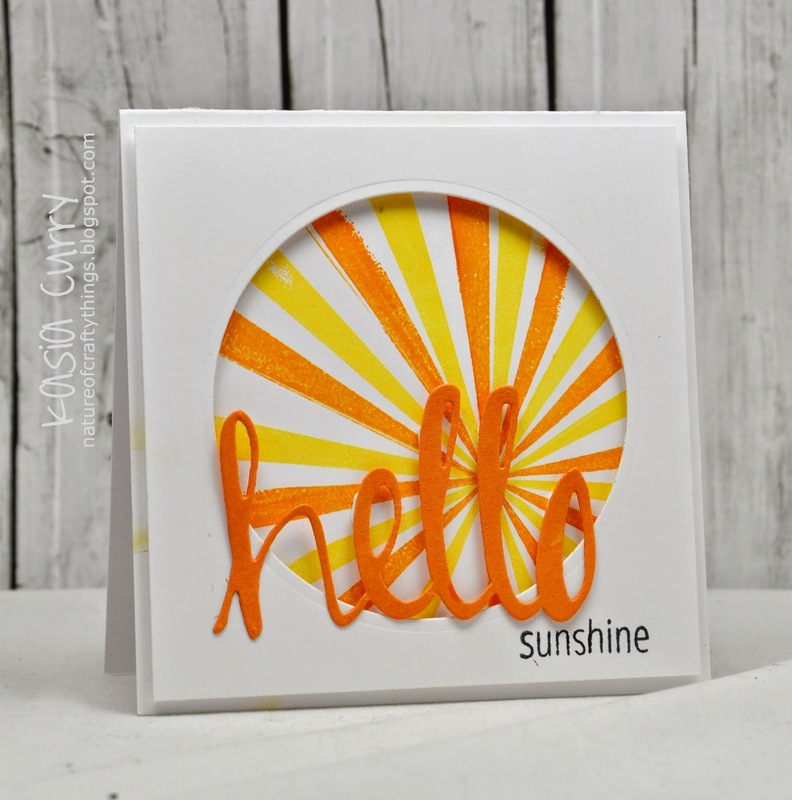 I used A couple of Avery Elle sets for this one, Bright Days (for the rays), Simply Said: Hello for the sentiment, and the Simply Said: Hello die. 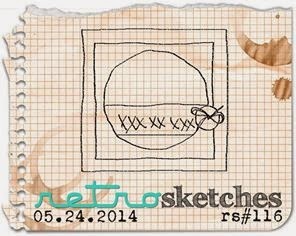 Hop on over to the RetroSketch blog for more inspiration from the rest of the DT. All this week over at Avery Elle we are doing a super fun week long blog hop. The Avery Elle DT got the amazing chance to play with some fabulous May Arts ribbon and Um Wow embellishments. These products were so easy to use together. I used the Avery Elle set Written In The Stars, some May Arts 1/2 inch woven burlap ribbon, Um Wow Twinkle Speech Bubbles and the Um Wow Star Confetti mask. Now since I used watercolour for the mask, it of course leaked, but I really like the way it turned out. 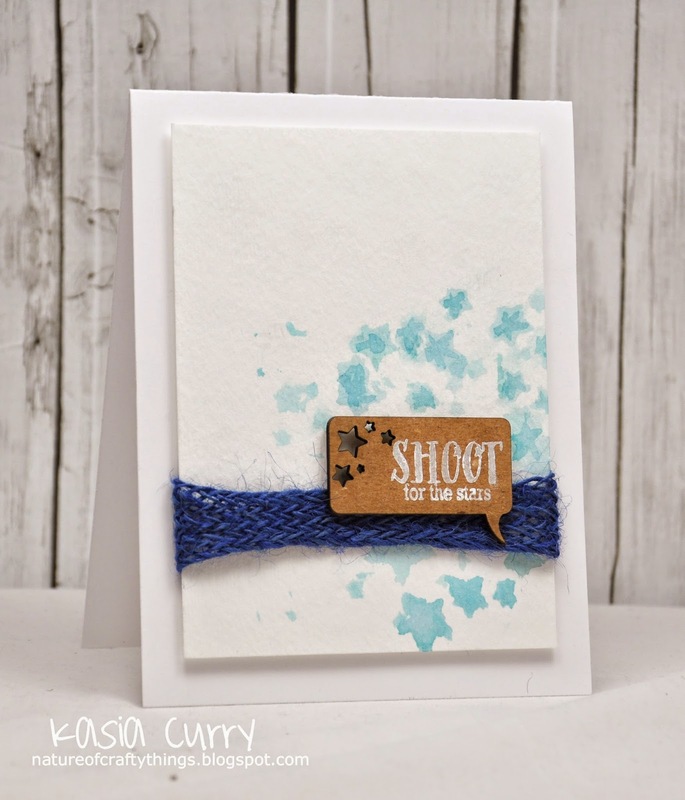 Be sure to check out the Avery Elle Blog all this week for projects using May Arts ribbon and UmWowStudio products. Today I have a gift wrapping share for you. I absolutely ADORE this fabulous Avery Elle set, Storybook. The images are just too cute for words, and what better to use them for but to create some adorable gift wrap. I took some plain packing paper, stamped those fabulous little animals in some brown chalk ink and Voila! homemade wrapping paper. I like the look of the twine to carry on the rustic feel of it. Pop on over to the Avery Elle blog to see what wonderful creations Chunyuan has in store for you.